With Adi Shankar reportedly working on a Legend of Zelda TV show adaptation, we have some hopes and dreams. A new series inspired by Nintendo’s Legend of Zelda game series might finally be in development. If ever there was a game franchise that lent itself to a series adaptation, certainly it is Zelda, with its dashing heroes and heroines and expansive world building. And since the story already exists in so many forms, a new interpretation could hardly be accused of ‘getting it wrong,’ right? This is not the first time Zelda has been adapted: the short-lived 1980s animated series, along with graphic novels, have already brought the stories of Link and his friends to life in a way the games, by virtue of their medium, could not. In 2015, there was rumor of a Netflix series, which was quickly squashed, but resurfaced in 2017. And now, a live action adaptation announcement seems imminent, with Castlevania’s Adi Shankar in talks to produce an adaptation of an iconic Nintendo game series. We assume it will be animated as well. For anyone not familiar with Castlevania on Netflix, it is, basically, what you would expect a modern-day Zelda adaptation to look like. Also based on an old Nintendo game, the series follows Trevor Belmont, who defends the nation of Wallachia from Dracula and his vampiric minions. Aside from the obvious potential of the Zelda series being similarly ‘darker’ and ‘more adult’ and generally Game of Thrones-y, a live action Zelda show made today could reinvent the franchise in whole new, exciting ways. In Ocarina of Time, we are told that Link was born from a Hylian mother who went into the Kokiri Forest to hide her son from the mysterious Civil War, which also left the Sheikah tribe in ruins. This war had, according to the Hyrule Historia, “raged unabated for countless eras.” It was, in essence, the Long Night of Hyrule. The King of Hyrule eventually won the war, but it was only a temporary victory, as Ganondorf would rise up only a few years later and once again plunge the world into darkness. Similarly, in Breath of the Wild, we wake up as Link 100 years after a devastating war that left the country in ruins. The open world gameplay allows us to explore vast stretches of emptiness and overgrown towns and buildings that were once part of a great kingdom. 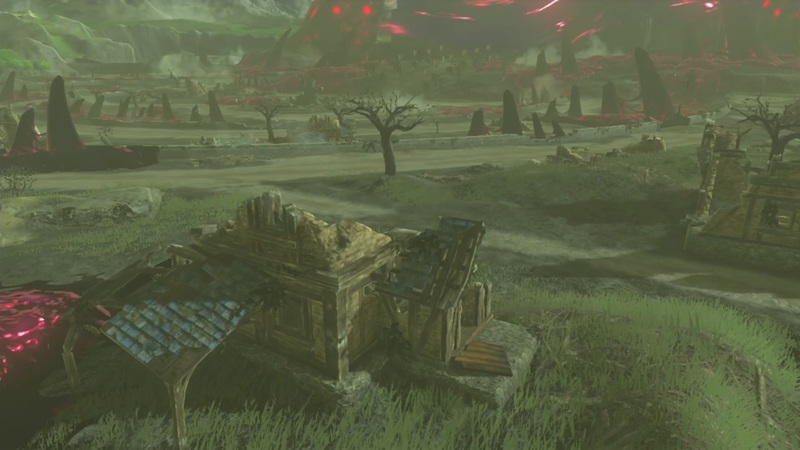 In the new Zelda show, it would be interesting to visit a version of the aftermath of just such a war — or even to explore the war itself, maybe through characters other than Link — and see a Hyrule kingdom trying to piece itself back together even as overcome with new threats. This might be a weird request, but I really like Majora’s Mask and all of the random other masks that Link wears during the Happy Mask Salesman side quest in Ocarina, so I would just really like to see them used everywhere. Whenever I try to envision a Zelda show in the style of Castlevania, the image of Link with a mask on is, for some reason, the first thing that comes to mind. It would play so well on screen, both as a scary and comedic element. Majora’s Maskitself also offers some rich and interesting story possibilities, presenting a different but no less terrifying threat than Ganon for Link and his friends to battle (and which might even come to ‘infect’ some of them personally). When worn by Skull Kid, the ancient and mysterious mask transforms him into ‘Termina,’ and his once harmless pranks become acts of genuine evil. This character is fascinating, as the above fan film shows! There is a lot of rich and dark story to mine here — in general, I would say the world and style of Majora’s Mask might be a good source of inspiration for the series — that I would love to see explored further. 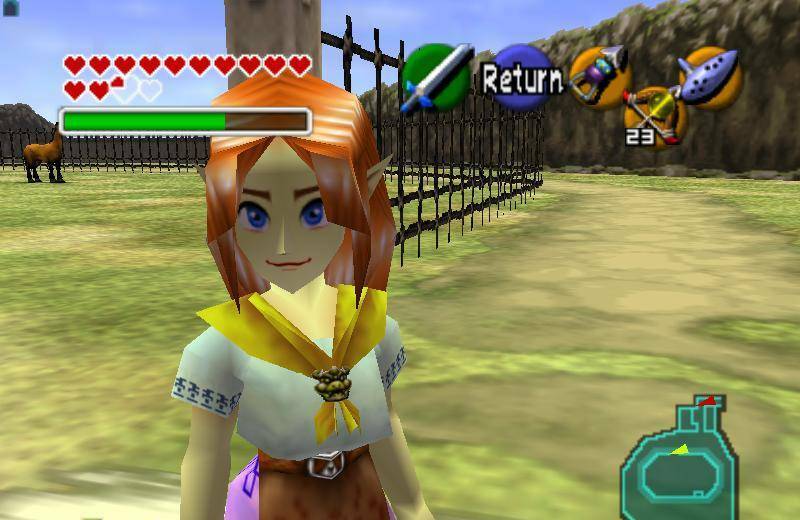 Being introduced to Zelda through Ocarina of Time as a pre-teen girl, it was perhaps inevitable that Malon was the character that resonated most strongly with me. Unlike the other women in Link’s life, Malon was utterly human and, in the grander scheme of things, inconsequential (as in: free of a predetermined destiny). She was just a girl whose father owned some horses, and who suffered the consequences of Ganon’s reign of terror, and did her best to keep on living in a broken world. While she never actively fought, or really did anything, we were made to understand that she had a real touch with horses and helped Link earn the allegiance of Epona. This aspect of Link’s story — meeting Malon, and her being the one to guide him in his horsemanship (how would he know how to ride a horse, anyway?!) — would translate really well on screen. Malon is a character just waiting to be fleshed out, whether or not she becomes a love interest to Link. In a perfect world, she would even accompany Link on his adventures, the Jacob to his Newt, if you will: an ordinary human lending credence to the extraordinary events around her. Princess Zelda has many forms, some more active in the fight against Ganon/Ganondorf than others. In the animated Zelda TV show, she accompanied Link on his travels and fought alongside him. Presumably she has spent her youth training to fight — as a man — and honing her magical abilities. She has set aside not just her title as princess, but everything that made her a woman, in order to complete the illusion and keep herself hidden. How many people knew of her true identity? Just what did it mean for her to live and grow up as a man, and how did it inform how she perceived herself? 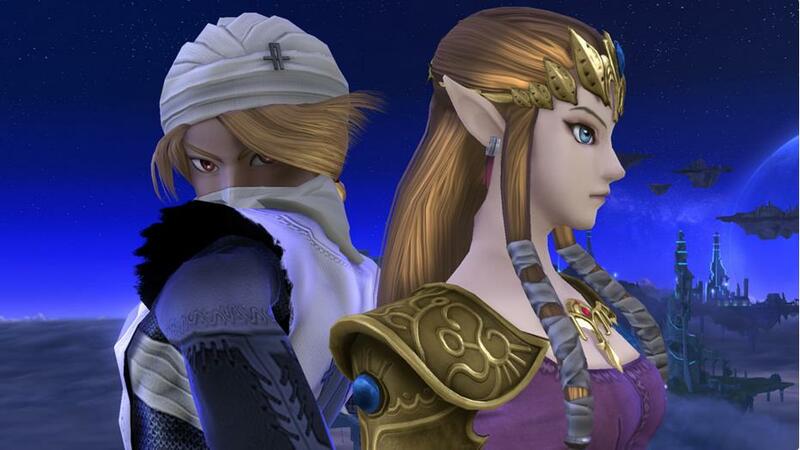 Honestly, forget Link, there is an entire story to be weaved here from Princess Zelda’s adventures as Sheik! 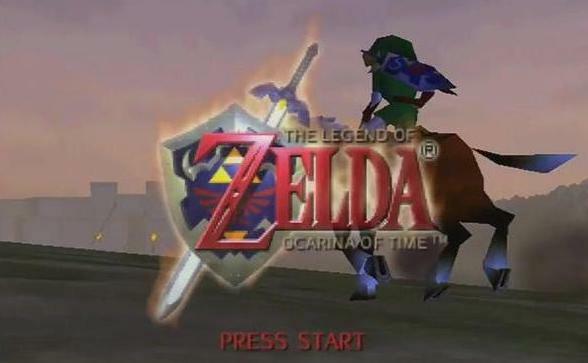 My fondest memory of the Zelda game series is the title screen for Ocarina of Time, simply because that is the thing I’ve looked at for the longest time. I first got the game at age eight and, little wuss that I was, I did not dare venture out of the Kokiri Forest, so the only real sense I got of what was ‘out there’ was that opening screen of Link riding Epona across Hyrule Field, the ethereal music playing him on. Impressionable as I was, that image imprinted itself on my brain, and for years afterwards, I would imagine myself getting on my horse (yes, I had a horse), riding across the fields behind my house, and seeking my fortune in the villages and forests beyond. And that is what I want from a Zelda TV show: that Xena-esque sense of adventure, the journey and discovery of a world where secrets and enemies lurk around every corner. Shows like Legend of the Seeker and The Shannara Chronicles are great examples of true adventure series that the Zelda show might emulate in style. I get the appeal of going full Game of Thrones, but honestly, I’d rather the world of Hyrule be depicted like the rich fantasy world it is, full of promise and potential. Adi Shankar will announce his new Nintendo project on November 16 at 1 p.m.
What do you hope to see in a ‘Zelda’ show?